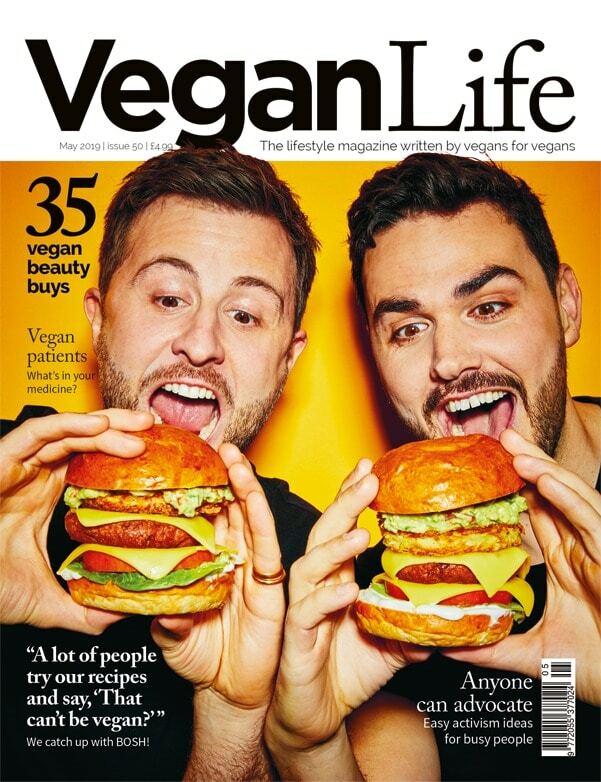 Photographer Maria Slough talks to Vegan Life about how she’s aiming to use imagery as a way of promoting vegan values. 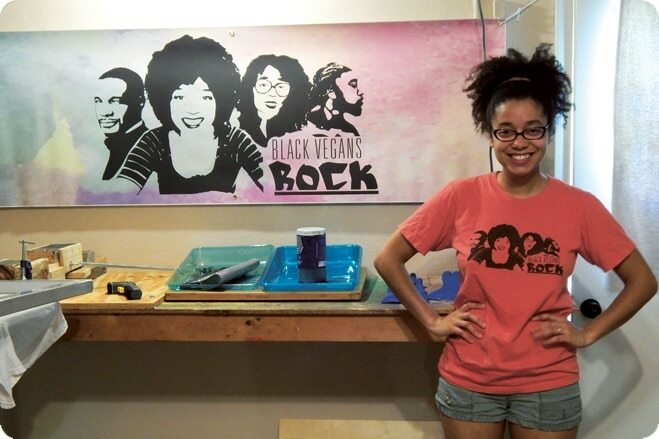 Maria uses words, photography and film to promote her strong vegan values across an enormous variety of media outlets. Maria is a dedicated animal ambassador and has worked closely with many animal charities; most recently, in collaboration with Animals Asia, she created a collection called Under the Asian Moon which tells the story of rehabilitated bears which have lived through the unimaginable torture in bear bile farms. 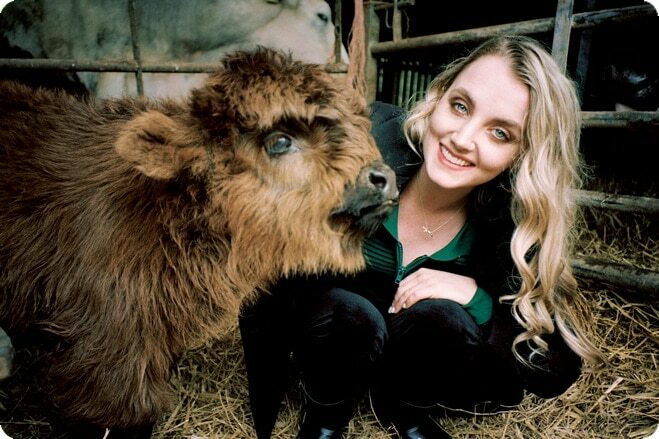 However, Maria aims to stand up for what she believes in, through her creative activism, in the commercial world as well as her work with charities to educate a wider audience about animal injustices around the world. Maria spoke to Vegan Life about her exhibition and what she hopes to achieve through her photography. Did you grow up vegan? No I didn’t. I grew up as a vegetarian. I gave up meat just before I was nine and my moment of realisation still brings me to tears. I grew up in a family of animals but my parents allowed me my own journey, to make my own decision. I was in the Cotswolds with a family friend and I had been spending all my time in the fields with the baby lambs, as I just gravitated towards animals rather than people as a child. We went out to lunch and my late father’s friend ordered lamb and I remember sitting at the table and thinking I’m going to pass out because I suddenly realised what was happening. I went vegan about five years ago. I believe that my body was born to be vegan. Do you think that your core values are represented in your photography? My core value is that a life is a life and I believe that an ant, or a beetle, or a moth, or a cow has as much right to their life as we do to ours. In the professional world, it is an incredible challenge because as a commercial photographer I can be flown anywhere around the world and asked to do anything and my work is very diverse. In that instance, as far as my core values being represented, I believe in leading by example. I’m not going to attack someone if they are eating a plate of meat, because it won’t work. In fact, nine times out of ten, they are attacking me for not having meat or cheese on my plate. When I work on any celebrity shots, or beauty shots, which I’m in control of, I tend to work with two or three makeup artists and I use artists who only use vegan, cruelty-free products. For the Crystal Grotto shot we needed a feather effect around the eye. 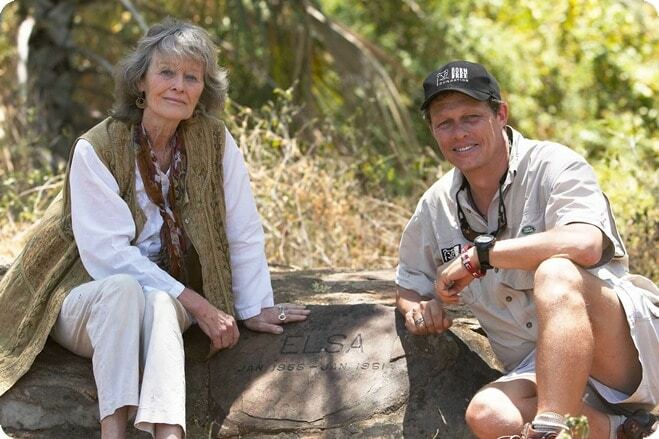 We had a long discussion about it and we were photographing Virginia Mckenna’s granddaughter at the time, and we had a discussion about whether we needed to include the acrylic feathers in the shot. I had a slight issue with wondering whether I was saying it was okay to use feathers. Just like the fake fur argument it does show people that you don’t have to use down or feathers or fur to get the effect. I am known as a photographer who is a vegan and is passionate about animal welfare but I don’t think I’m known as a vegan photographer. I don’t want to come out of the commercial world because this is where you are going to change people’s minds and challenge them. Best thing about photographing animals? Well there is such a difference. Having spent so much time photographing people and some very high profile people, I think the most amazing thing about the animals is that the communication is different between you. As a commercial photographer you give people direction but with animals you have to have more trust because they have to get used to you and your smell. 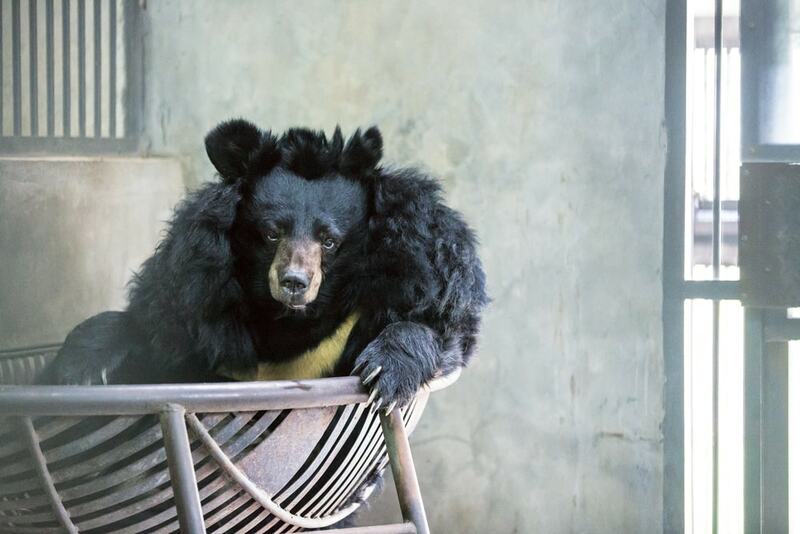 When I was in China in March, in the Animals Asia Chengdu sanctuary, there are only bear carers there so they don’t have visitors or people traipsing through the bear’s home. I just sat there for three to five hours every day and the curious ones came over and I knew they were the ones which were going to give you the shot. They totally played up to the camera, get a bit excited and pose. The best thing is that it is such a privilege; I feel that if an animal trusts me enough to come close enough to connect with me as a photographer and give me the shot, to me that’s the biggest honour. Have you got a favourite picture? Thinking about my favourite image is a really difficult one. Commercially, one of my favourites is the shot of Lily Travers because the colours worked beautifully. Lily Travers, who was modelling, is incredible in front of the camera and I harnessed the natural light just as I wanted to. I do use studio lighting but my forte is working with what nature gives us in terms of light as much as possible. Personally, I did an exhibition a couple of years ago called The Pawtraits Exhibition and it was 30 black and white photos to raise awareness for animal related charities through the image of a picture of a relationship between an animal and a person. We had such a lot of varied people and varied charities. So I suppose from a personal view the self-portrait, because I’ve since lost Star, is a favourite and that picture is really treasured because it represents the incredible bond we shared. Can you tell us a little bit about your recent project in China? 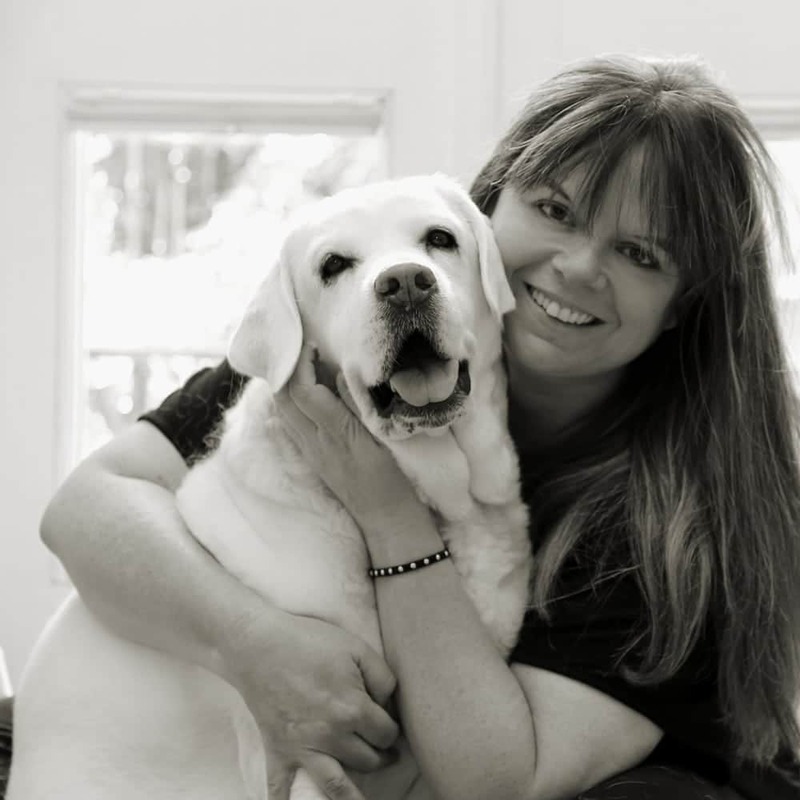 I support a handful of charities; I’m the patron for Labrador Rescue England and I have supported Animals Asia and the Farm Animal Sanctuaries for a long time. Obviously, for Animals Asia you have to travel. So I went out in March and took my Labrador’s vet with me — so I took my photographs and he got to go and do heart scans and work with the veterinary team out there. I went with a view to come back with a set of photographs and then Calumet photographic wanted me to exhibit the photos in their flagship store on Drummond Street. It’s called Under an Asian Moon. It is just the rescued bears with their stories underneath and then there is a quad of black and white pictures of the disused cages. There is a picture in there called the Road to Freedom which is two images put together of a bear walking away from a pile of disused cages. It is symbolic of them walking away from the life which they have had. What did you hope to achieve with the exhibition? The point of it was to let people know that it goes on. People have been into the bile farms and Animals Asia have photographs of the bears in their cages. I that kind of imagery is so powerful and so needed when it’s placed in a certain way, but I find sometimes it can make people turn the page. They can sometimes have a negative effect as much as a positive effect. I think you need a balance of both. I made the decision to show how beautiful these bears are and how they recover. They use their limbs again, stretch out and play. I wanted to let people be captured by that before they learn the back stories. 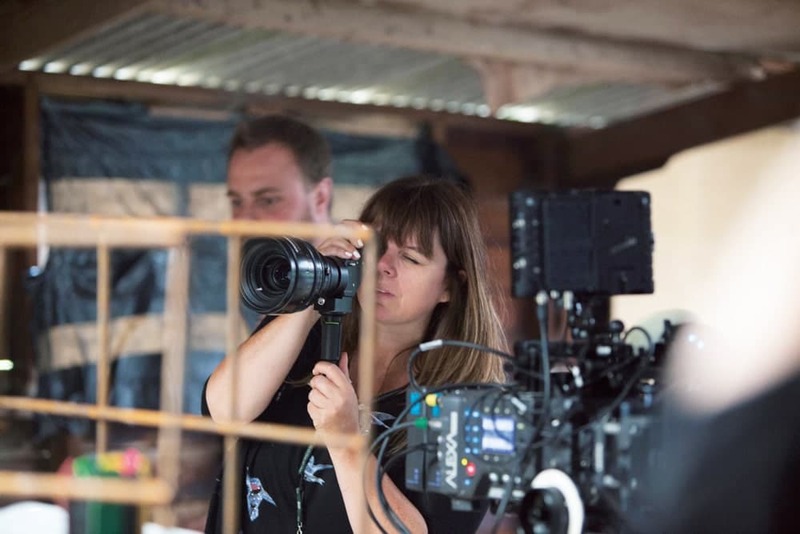 You have also started directing, how has the transition from photography to directing been? I’ve always wanted to direct but I guess I never had the courage to bite the bullet and say I’m going to direct now. Working on photography has made me a very instinctive photographer. I have a passion for capturing and framing an image. I feel that when I take a picture, a little piece of me goes down the lens and into the picture. I think that a little bit of me is in every picture I take. Really concentrating on and honing that skill gave me the confidence to stand up and start directing. I’ve done a short film about Born Free on Kenya Airwaves and I have written and directed the Road to Freedom. It’s a dramatic interpretation of the life inside a bile farm and we should be putting that out later this year. I’m hoping that my directing will go from strength to strength and it will always go hand in hand with my photography. I would say that I believe that the path to a peaceful society must surely begin with how we treat animals. If we can’t show kindness and compassion and respect for the life of an animal, how can we ever hope to care for each other? This is something I hope our future generations will learn.